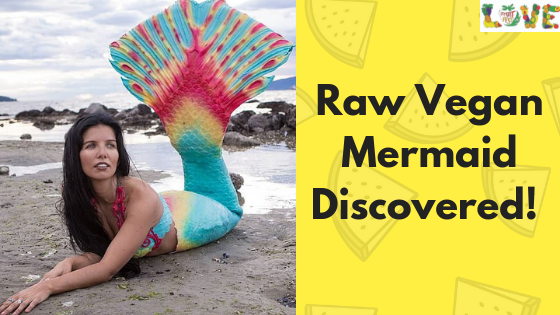 Raw vegans come in all shapes and sizes and embrace life in all sorts of different ways. What’s important about this story is that her scare with health made her decided to live a life based on finding happiness and well being. Have you ever tried mermaiding? We at Fruitfest had never heard of this concept before. We don’t tend to spend much time in the sea as there is no fruit there! 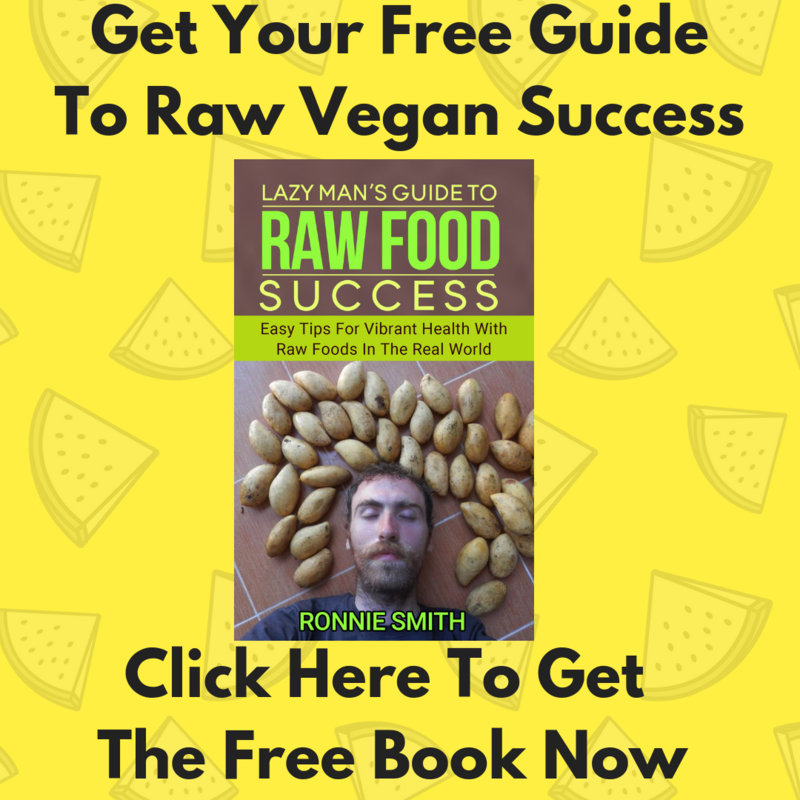 If you are looking to learn about raw veganism, please feel free to check out the blogs on this site or click on the link below to get your free raw vegan recipe book. Recently, the Carnivore Diet has started to gain some notoriety in the world of natural health. Some are touting this as the solution to the growing health crisis. Instead of reducing meat consumption, as is generally suggested, should we have a diet made entirely of meat? Those who have tried it have experienced weight loss and some claim that it has helped them to get rid of chronic digestive problems. One well known vegan Youtuber called Vegetable Police has recently converted to trying the Carnivore diet, and it seems like others have followed suit. The reason that he wanted to try it was because of digestive issues that had plagued him for a long time. These issues originally made him go to a raw vegan diet initially, which he previously claimed had cured him. In the Guardian today it has been reported that Tesco is going to scrap best before dates from fruits and vegetable lines. This is being put in plance in an effort to reduce food waste. Have you ever looked at the best before date on a fruit and thought “No chance….this is rock hard, it’s never going to go off in 3 days!” It seems like sometimes these dates are picked arbitrarily without any real knowledge of the ripening cycle of the fruit involved. Persimmon, for example, can take over a month to ripen in full…..yet supermarkets will suggest you eat them while still hard. Probably, like me, you have learned to ignore these dates and go with your sense of taste, smell and feel to assess the ripeness or readiness of a fruit. The other thing that is confusing is the “ready to eat” or “perfectly ripe” signs that never see, to be accurate either. “The UK’s largest supermarket is to scrap potentially confusing “best before” dates from dozens more of its fresh fruit and vegetable lines after research found ditching the labels helped customers reduce their food waste at home. Tesco shoppers will from this week no longer find date labels on a further 116 items of produce – including own-brand apples, oranges, cabbages and asparagus. Tesco hopes this will prevent food from being thrown away while still edible. The supermarket removed guidance dates from about 70 fruit and vegetable lines earlier this year. Essentially, as human beings are designed to consume fruit we are also perfectly capable of assessing the quality, ripeness, readiness or rottenness of the fruit. We know when it has gone off and don’t eat it. We also know when it is delicious and edible. Our senses are designed for this purpose. What this is telling us is that some foods (meat, eggs, fish, dairy) pose a much greater threat to our health than others. Of course, for other animals that are designed to consume these foods, the signs that the meat, dairy, fish or eggs where not suitable to eat would be quite obvious to them. In their natural state, those foods are a turn off to our senses. The idea of eat a dead animal, or eating a raw egg or drink milk from the udder of a cow is a revolting concept. That is our sensory safeguard in place stopping us from making a bad decision. As for fruit, we are drawn towards its colour, it’s shape, it’s beauty as we have been for millions of years. We are well aware when it is good or not to eat. 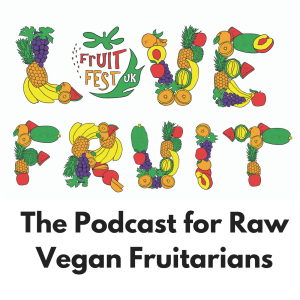 This is a video of UK Fruitfest founder, Ronnie Smith, heading on an adventure to find Pawpaw with the world’s strongerst Fruitarian Mike Vlasaty. The search begins in Chicago before heading to the Ohio Pawpaw Festival in Albany, Ohio. The Fruit Picker used by Mike can be viewed on Amazon by clicking the link below. The Hindu has published an article showing the connection between how colourful fruits are in an area and the visual capacity of the frugivores consuming that fruit. This research points towards a fact that we already know. Our colour vision is related to our history of eating fruit. Human’s primarily locate our food visually. This is why we would be terrible carnivores or omnivores. Animals have no desire to be eaten and hide and camouflage themselves in the jungle. Hunting is a difficult process for humans as we are not equipped for it in any way. Fruit on the other hands wants to be eaten and therefore stands out to those animals it wants to be eaten by. As we scan a forest area with our eyesight we can immediately pick out the different hues of flowers, berries and other fruits. They are easy to find. Have you ever went foraging for fruit? It is almost like an unused muscle in your brain switches on and goes into overdrive. The quickness and speed of the eyes and out ability to calculate the location, quality, size and ripeness of particular fruits is quite exceptional. The ease with which we can shake a tree to get the fruits to fall or simply reach up and climb the tree to pick the fruits off is obvious. It shows that we are perfectly suited to find and collect fruit. When we add this to the design of our digestive system and how easily we digest fruits it is hard to argue that we are not matched most closely with a classification of frugivore. Imagine trying to find those fruits without colour vision. It would be almost impossible. Or how about trying to pick them and eat them without hands to open them? Also very difficult, and virtually impossible. Certainly, it would be easy for us to find a Durian in the trees through smell alone, bananas also have a strong smell when ripening. Feel free to share this article or comment below with your thoughts. A recent story reported by the BBC tells the story of a mystery orange that turned purple. “Australian health authorities say they have solved a mystery that prompted much speculation earlier this month. It began when a Brisbane woman, Neti Moffitt, asked for an investigation into why an orange – partially eaten by her son – had later changed colour. Scientists have now revealed it was due to a natural reaction between the fruit and a sharpened knife. The orange did not pose a health risk, they added. Stewart Carswell, Queensland Health’s chief chemist, said “numerous tests” were conducted to determine the cause of the colour change. Have you ever had an orange turn purple? 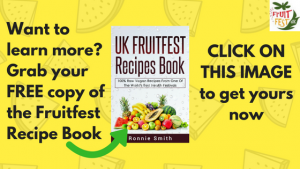 This video includes an interview with UK Fruitfest founder, Ronnie Smith, about the process of putting on a Fruit Festival. If you are interested in putting on such an event this video should be very helpful. The interview with Ronnie starts at 21:10. 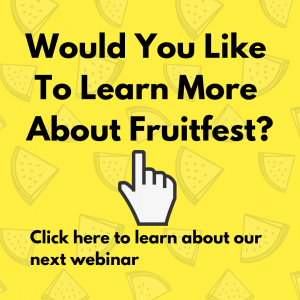 Already, this video has led to someone getting in touch with UK Fruitfest to get advice on starting another event. Feel free to contact us for advice on launching your own event. Email info@fruitfest.co.uk. Joe Best hosted an awesome open mic night at UK Fruitfest this year. As part of this he played his own song “Let’s All Go Raw”. Feel free to share the song and find more from Joe at his “Raw Awakening” Youtube channel. The Best Raw Vegan Pizza Ever! Once upon a time, I created a raw vegan pizza for a raw dinner party I was hosting. I had tried to copy part of a recipe by my friend Chris Kendall but decided to throw in a few ideas of my idea. Turned out that was a mistake! When It Comes to Raw Pizza, Follow The Advice Of The Master! ….the healthiest and most delicious raw pizzas of all time! This will change the way you look at what you can do on a raw vegan diet. You will wow your friends with pizzas so delicious they won’t believe that they are raw and vegan. You will use these recipes time and time again. Ever tried to make a raw pizza? It can be a little dissappointing. There are 3 parts to get right and if anything goes wrong it just won’t work. Take it from me, listen to the master raw chef Chris Kendall. He has just released the book today and for a short time there is a sale on to get the book at the very low price on 14.95 dollars (around £10). You can use PayPal to purchase easily. I recently purchased the book myself and went through it with a friend. We were both amazed by the quality of the book, and the innovation in the recipes. It made us immediately want to try them all out. It also made me think that if I had wanted to work all of these recipes myself it would have taken me years to work out how to do it. You will love this book! Chris’s recipe are copied in kitchens all over the world because they are simple and they work. Even better they are healthy too! Get the book today go directly to www.therawadvantage.com to get your copy. This post is not sponsored by Chris and we are not making money from it. 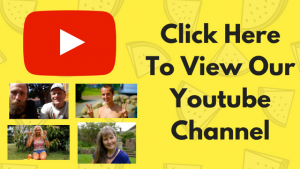 We want to support good raw vegan products and authors like Chris because they help further our aim of spreading knowledge and education about the raw vegan lifestyle to our audience and the world. You may have seen that a Fruitarian couple have been featured a lot online recently. Simon and Tina, from Fit Shortie Eats on Youtube, and also @fit_shortie_eats on Instagram have been written about in the Daily Mail online, the Sun, The India Times, The Metro as well as other media sources. Their story has been shared in slightly different ways but mostly focuses on the fact that they have eaten “nothing but fruit” for 3 years. The story is that Tina, from Poland found the Fruitarian diet after doing a pre-Christmas cleanse. She was happy with her results and to fully commit to the lifestyle she decided to move to Bali to get away from the temptations she had at home and also to discover more exotic fruits. Simon moved to Bali partly inspired by Tina’s instagram posts and they later met and eventually started a relationship. They have grown a large following online and are inspiring a lot of people with their story. It is fantastic to see more Fruitarians getting out there with a positive message. It also goes to show that the media and people in general, are very interested and curious in stories about the Fruitarian diet. Perhaps more Fruitarians should be trying to get their story out to the world like this? “When you eat whole fruit the fibre in the fruit cleans out your teeth. I don’t brush my teeth either. “When I went for a check-up after three years, the dentist called two other dentists to show my teeth to them – my teeth were in such good condition she couldn’t believe it. Tina makes a great point about dried fruit. A lot of people have had problems with their teeth eating fruit but many have potentially had these problems coming from dried fruit, like dates, rather than fresh, juicy fruit. Still, to limit and potential problems with teeth, it is generally recommended that you have a discussion with your dentist about the state of your teeth and continue to practise good dental hygiene. You can learn more about the couple by searching for the Youtube channel “Fit Shortie Eats” on Youtube or following Tina on instagram: @fit_shortie_eats.